The J. Gibson McIlvain Company is a wholesale distributor of a vast variety of domestic hardwoods, exotic lumbers, and millwork products. Our inventory yard consists of several million board feet of only the highest quality lumber that has withstood rigorous inspections and examinations by our trained sales representatives and staff. As one of the oldest and most trusted names in the lumber industry, we have always prided ourselves on offering our customers only the finest choices. 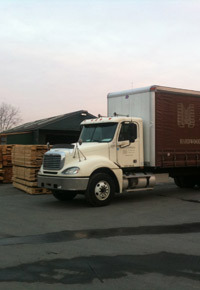 Our sales representatives travel to international and domestic sawmills to carefully select premium lumber. 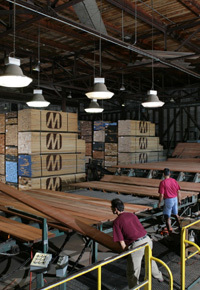 We maintain a stock of over 7 million board feet in our yard and can provide the Mahogany you need, delivered on your job site just in time. We are continually buying new lumber from South America and Africa to maintain this stock. If our customers need some unique size or quality of Genuine Mahogany, we go straight to the source in South America to find only the best. If our customers need Sapele and our current stock does not meet the order, one of our sales representatives travels to forests in Africa to do thorough examinations to find only the highest quality lumber. Our customers can be assured that each and every board from our extensive variety of lumber species was hand selected by our experienced representatives. Because our sales representatives have many years experience in the lumber industry, our customers have found that our representatives’ careful consideration and input is crucial to the project’s success. Whether you are questioning which species of mahogany lumber to purchase, or need to know about a species’ particular characteristics, our representatives will listen to your inquiries and offer their invaluable advice. 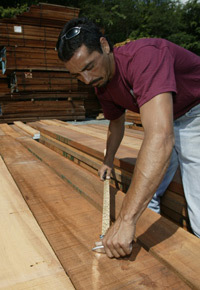 After you have made a final decision and placed your order, each piece of mahogany lumber will be carefully processed by our trained employees. Each employee understands and is proud to contribute to the J. Gibson McIlvain Company’s promise to quality. 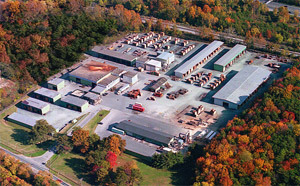 As each piece of lumber passes through our Maryland facility, it will be inspected by members of our team who are trained to detect any defects. Should a problem arise, the board will be pulled aside. Because quality is our top priority, several inspections ensure that only the finest selections will reach our customers. 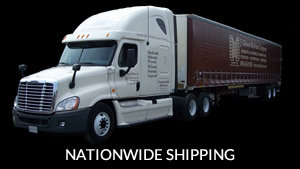 From the initial placement of your order to the final delivery, our advanced computer tracking system will keep you updated. Should you have any questions or concerns, your own personal in house sales representative will be available for consultation. So whom exactly does the J. Gibson McIlvain Company serve? Well, many of our satisfied customers are architects, boat or yacht builders, contractors, cabinet and furniture makers, and door and window manufacturers. However, anyone that has a demand for only the highest quality lumber or millwork products for their next project will benefit from J. Gibson McIlvain’s careful attention to detail and critical inspections.